Home creative passion creative process Working with Emily as Your Coach What Does Creative Success Mean to You? What Does Creative Success Mean to You? 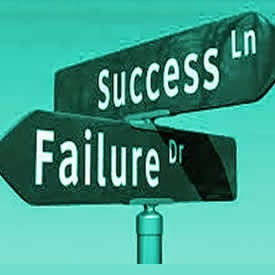 Who is Defining "Success" in your world? We all have our definitions of what it means to be successful with our creativity. All too often, those definitions are based upon the insatiable appetite of the ego for outer world recognition. Not that there is anything wrong with outer world success. There isn't! The problem is that if we buy the ego story that outer world success is the reason we create, we will depend on the judgments of others and will never know creative fulfillment and its sustaining passion and joy. There is no everlasting pot of gold at the end of outer world success. If only I finish a story, I'll be happy. If only I get an agent, I'll be happy. If only I get the book published, I'll be a success. The verdict is in: enough is never enough for the ego. enough is never enough to satisfy ego and calm its fears of inadequacy! It is, important, nonetheless, not to discard the ego's need for outer world success. First of all, in our private world, the ego doesn't let up. The ego will have its say. Sometimes its relentlessness can cause us to give up in despair. Other times, it can be a deciding factor in pushing us to complete. The key is to know, deep in your being, that true success, creative satisfaction and joy come from answering the mysterious call of creativity. This call is always a great challenge, and cannot be answered by the faint of heart. Its path demands great leaps of faith. It is filled with magnificent surprises that more often than not feel threatening to the ego. For me, the greatest and most freeing gift of the creative life is finding out that I am much more than I ever dreamed I was. I have hidden strengths, a wild imagination, a fierceness and ability to fly. Most important, I am on a journey in life that is constantly unfolding. Some of this I learned from my characters, who showed me sides of myself that surprised challenged and grew me. Some I learned from the numerous times I stumbled and fell and found within me the wherewithal to pick myself up and move on. And yes, I've lost my way, too many times to count. And yes, I still battle the demands of the ego and fall victim to my inner critic's badgering and false view of me and life. But I have also learned that I have a fearlessness in me that ultimately shines through and supports my journey and my creative life. Looking for a writing coach? Explore what Emily has to offer.